You don't have to read shampoo labels anymore. Here comes a game that will change the way you spend time on the toilet. 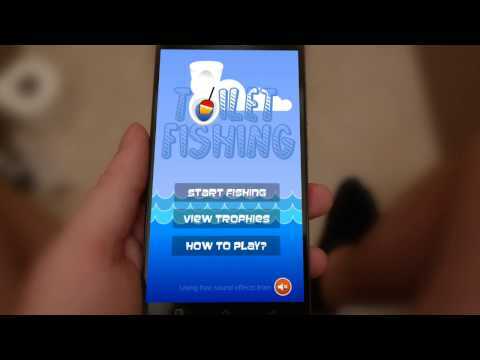 Catch fish and collect rare items! Patience is the key, but you cannot loose the fishing float from sight even for a second, as you have to react quickly to catch the fish. Not quick enough? Too bad, wait for another fish to swim by. Sell caught fish, so you have money on better lures or keep the fish as trophies to show off to your friends. Each fish is unique, randomly generated. Multiple unlockable environments to fish in. Catch fish in a toxic lake or on an alien planet. Each environment has own unique fish you can not catch anywhere else.